We always knew beta-Carotene was good for your vision, but who knew it could help you spot a ring you lost three years ago while gardening? 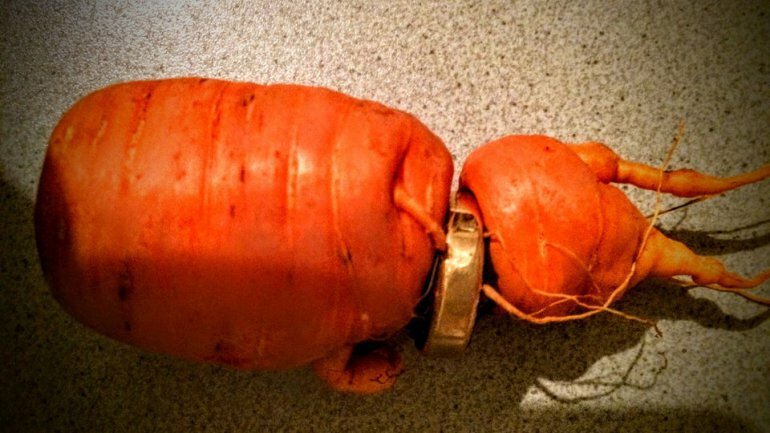 An 82-year-old man in Bad Muenstereifel, Germany, found the missing wedding band in question wrapped around a carrot that appears to have grown inside of it, according to WTVR. The incident happened shortly after the man celebrated his golden wedding anniversary, according to German public broadcaster WDR. The man's wife reportedly always assured him the ring would eventually reappear -- unfortunately, she died six months before being proven right. Tired dog on sofa still watching.